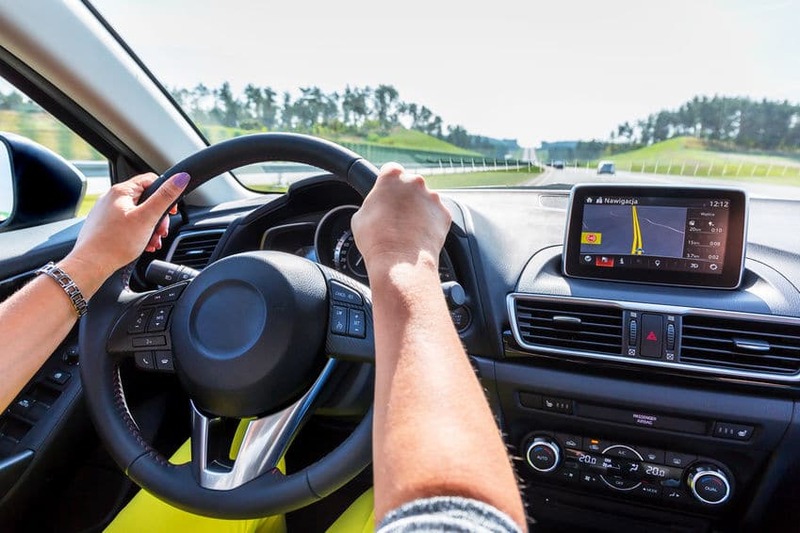 To provide as high level of comfort as possible, modern cars come with plenty of electric devices. However, the electricity of the car is limited to 12 volts, which is usually not enough for some bigger devices that are used in your home. Also, most of these devices require alternative current (AC) instead of direct (DC). So, these power inverters would be a great thing to use in the car if you want to use various home electronics on the road. 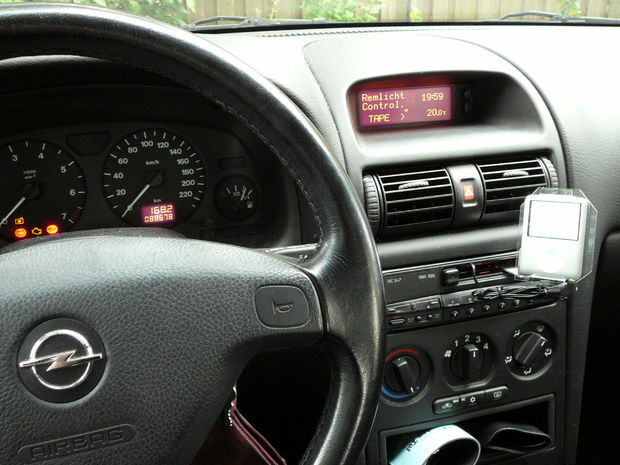 If you want to make driving more comfortable, new electronic devices is a great solution. You can add a DVD player, gaming consoles and similar things if you want to shorten the trip time for rear passengers. Also, many would like to use the kitchen things like microwave, portable vacuum, coffee maker or something like that. After all, if you are a nature guy, you would probably find the power inverter useful for things like water pumps or electric chainsaw. 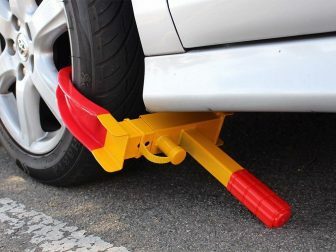 All in all, such accessory is very useful in many situations. Speaking in the general about power inverters, they are practically the same to the home power inverters. The challenge is to get an adequate voltage to run the desired electronic device. Still, there are some differences in design. With car inverters, the focus is placed on portability. When deciding which one could be the best fit, keep in mind things like power capacity, dimensions, numbers of ports etc. Of course, you should choose the units that are more durable because they will ensure a long-term use. Finally, there is a price. A high tag doesn’t necessarily mean high quality. Moreover, you can find plenty of good-quality units for a reasonable price. 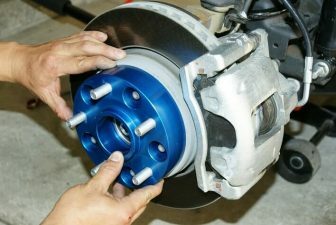 Today’s market is full of these pieces of car equipment, and we will try to help you to find the perfect fit for your needs. 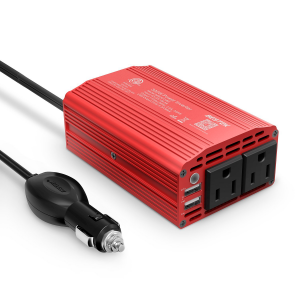 Here is our list of best picks when it comes to power inverters. Keep in mind that our list consists of various products of different size, capacity, functionality, price range, etc. 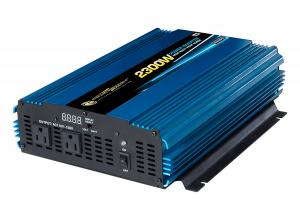 Speaking of good power inverters, we can’t skip product like this one. It has all the qualities to ensure a long-term use. First of all, this is a highly durable unit. Made of an anodized aluminum body, it features pretty solid housing. It is also a highly capable device. It turns 12V to 110V, which is perfect for all house electronics, and it also has a capacity of 2300 watts, which makes it suitable for pretty much every kind of electric device. 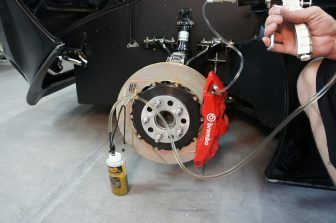 Be sure it can deal even with things like a microwave oven, chainsaw or well pump without big problems. It is also pretty convenient to use. There are LED indicators that show input and output voltage, as well as many other useful things. Everything sounds great so far, but this unit has disadvantages too. The biggest problem is its size since its dimensions are 18.2×12.2×6.5 inches. It is also quite heavy, around 12 pounds. If you can deal with these dimensions and weight, we would highly recommend this capable unit. 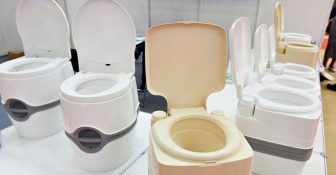 Compared to the model described above, this unit has much smaller dimensions but keeps the same level of capability, if not higher. This unit will provide plenty of power for any kind of electric device. With a constant output of 2000 Watts and peak power of 4600W, you can apply it for almost everything. Its sturdy housing will provide a long-term use for sure. Speaking of the functionality, this model comes with three 110-V outlets, which means that you can use up to three electric devices simultaneously. Dimensions like 10×5.3×6.5 sound pretty compact, considering devices capabilities. Total weight is around 10 pounds. Additionally, there are LED indicators, power switch, cooling fan, and many other things. 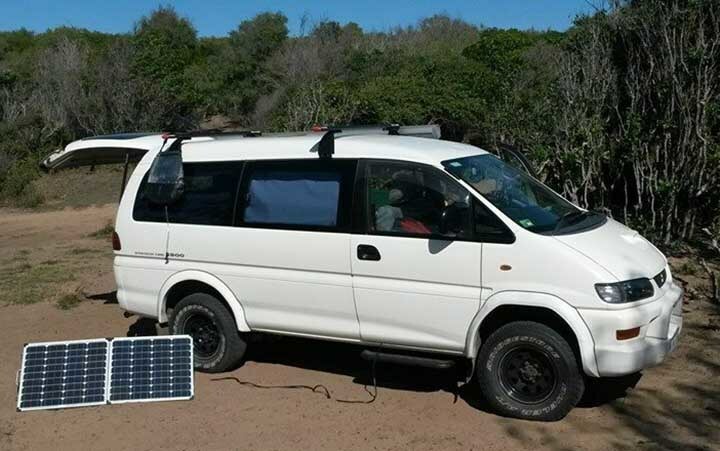 An ideal choice for those who need electricity in campsites, remote job sites, and many other perks! 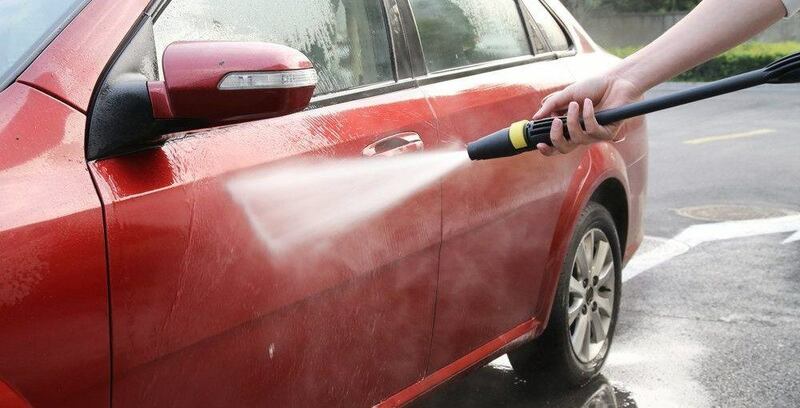 If you don’t use highly demanding devices like electric tools or similar things, this is a perfect choice for you. With a power capacity of 1100 Watts, it is ideal for the most of home electronics. It comes with two 110-Volt outlets, as well as with two USB charger ports, which seem very convenient. Another benefit of this product is its light weight. Despite the fact that this unit measures 11.8 x 6.7 x 3.5 inches, its weight is only 4.41 pounds. Considering these numbers, it is clear that you can attach this one pretty much everywhere you want. Along with the inverter, you get a complete kit of various cables, USB ports, tablet charger ports, and many other functional items. Finally, there is a 3-year manufacturer’s warranty. 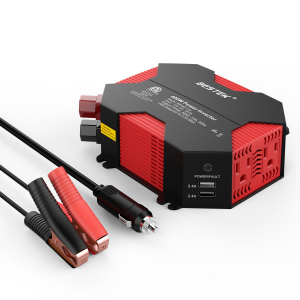 BESTEK 400W Power Inverter is a pretty durable unit, despite its size and weight. 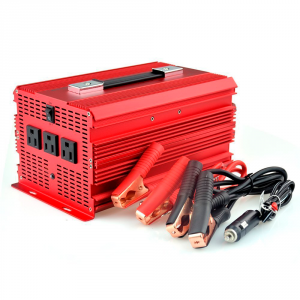 This is a pretty renowned manufacturer of car power inverters, which offers a variety of products. This one is designed as a compact, light, and simple-to-use device. With a power capacity of 400 Watts, it is a perfect device for laptops, tablets, gaming consoles, etc. It comes with overvoltage, overload, over-current, under-voltage, overheating, and short-circuit protection. A simple way of use is one of its main characteristics. 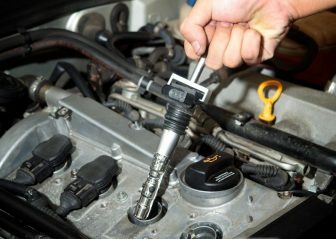 Just plug the device in the car’s cigarette lighter and you’ll get power directly from the car’s battery. There are two AC outlets and four USB port, which makes it a perfect charging device. Its weight is only 2.35 pounds, while dimensions are 11.7×6.9×3.1 inches. Finally, there is an 18-month warranty. 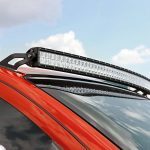 Another product from a highly reputable manufacturer. This one is even smaller. It comes with compact dimensions, which makes it a perfect portable device. 6.7 x 2.4 x 6 inches proportions sound great. You can put this inverter pretty much everywhere you want. It is also a pretty lightweight device with just 1.16 pounds. Despite such small dimensions, capabilities are on a pretty decent level. With 300-Watt power capacity, this inverter is perfect for devices like laptops, smartphones, etc. It comes with two 110-Volt outlets and two USB ports, and just like the device from above, comes with a cigarette-lighter plug. It features a 40 amps fuse, a cooling fan, as well as a low battery alarm, low battery shutdown, overload protection, and short circuit protection. Despite small dimensions and lightweight, this unit is pretty sturdy and durable. After all, the company gives an 18-month warranty on it. Finally, this is the winner in our list. 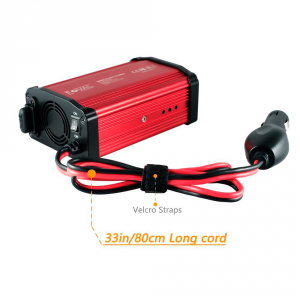 Foval Power Inverter 300W has everything that one small and highly portable power inverter needs. Don’t be fooled by its tiny dimensions. This product might be smaller than a common smartphone, but it is highly capable. It has a power capacity of 300 Watts, with two 110-Volt outlets and two USB ports. It is very good for portable electronic devices like laptops, smartphones, tablets, gaming consoles, DVD players, etc. It comes with a pretty sturdy metal housing that promises a long-term use. Also, a small cooling fan is almost noiseless, which provides pretty quiet use. This unit operates in a very simple way. 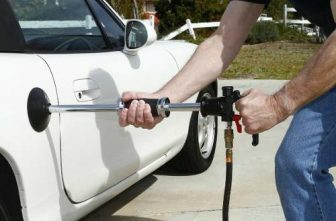 You’ll get a 33-inch cable with cigarette-lighter jack, which provides a direct connection with the car’s battery. As we’ve mentioned, it is an ultra-compact device which measures 2.4 x 1.6 x 2 inches. Weight goes just over one pound. Finally, this cheap but highly-reliable product comes with an 18-month warranty. An inverter is an important tool for every car owner and resembles a rectangular box about the size of shoe box. At one end there are wires for connecting to a power source; at the other are AC receptacles. 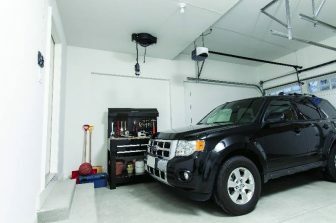 An inverter takes in direct-current (DC) power – in this case, from your car’s 12-volt system – and converts it to the alternating-current (AC) power required by refrigerators, sump pumps, and most other household devices. 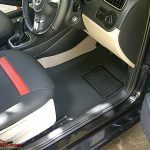 Car users value a power inverter for its ability to use the car’s battery for powering or charging portable appliances, mobile phones, and other consumer electronics inside the car. The best power inverters on the market are those that provide users with multiple features, such as a USB port and several outlets. The best devices are also lightweight, compact, and can easily plug into the cigarette lighter outlet in the car. 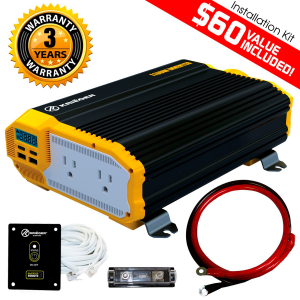 Added features, such as automatic shutdown for various cases, alarm system, and even a cup holder design, also make a few power inverters good investments. 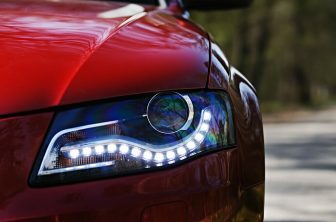 Knowing the best power inverters for the car, as well as the specifications of each type, allows buyers to take the guesswork out of buying and make a worthy investment.